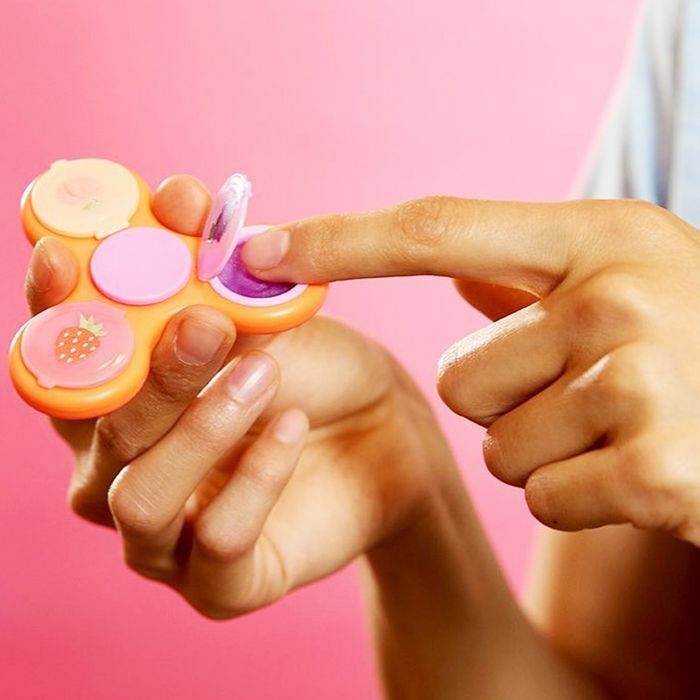 I can't decide whether what I'm about to tell you is surprising or inevitable, but here goes: You know the fidget spinner, every 21st-century child's favorite stress-relieving toy? Of course you do. Well, apparently, demand for the infamous little object has become so high that even the beauty industry is getting in on the action. 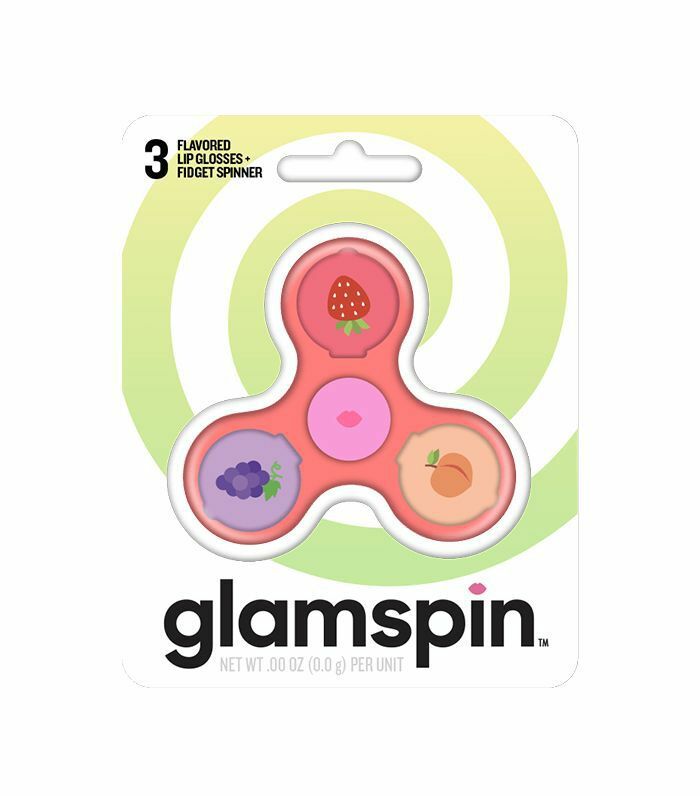 Allow me to introduce Glamspin, a new brand that has decided to combine America's love of fidget spinners with America's love of lip gloss to create a fully functioning fidget spinner that contains a tiny pot of lip gloss in each of the three prongs. The flavors include peach whirl, strawberry cyclone, and grape twist, and you can buy the thing for $10 on Glamspin's vibrant website. To me, the kitschy, brightly colored Glamspin reads as a sort of 2017 take on the flavored Lip Smackers we all enjoyed as kids in the '90s and early 2000s. But, you know, even more extra because we have the internet now. Keep scrolling to learn more about the fidget spinner lip gloss, like why on earth it exists, and how we should feel about it. Thoughts on the Glamspin? Silly? Annoying? Kind of cute? Let us know in the comments below?